In a few of my other hours, I’ve been keeping abreast of the daily developments in the saga of the current state of the White House, Congress, Law Enforcement, and all that surrounds the so-called war between Trump and the news media. In addition, whenever I get a few minutes, I’ve been continuing attempts at authoring and editing additional chapters of, what I hope will be my first book, somewhere down the road, when I finish it. I hate to unload on you, all of the things that occupy my retirement days, but there is more. Some of you may recall the occasional problems I’ve had with my internet radio station, GreatGold.fm Classic Hit Oldies. Several months ago I ceased the daily, 24 hour streaming of the feed, because of mounting expenses involving music licensing fees to continue operating a legal station. I’ve switched over to a different streaming service in hopes of getting rid of some of that expense. Radionomy.com is now inserting commercials into my stream twice an hour. Income from running the commercials will, hopefully, pay the costs of playing the music for listeners. All of the music I had on the streaming platform I had been using prior to Radionomy must be transferred to the Radionomy provided platform, which becomes a time consuming effort that is falling into place, although still in progress as I write this. On a personal note, life can be literally slower when one reaches the lower mid-70s in age, causing activity and projects to be accomplished at a slower pace. Plus, I may have had a bit of food poisoning, or a bug of some sort, the other day, sending me to the bathroom numerous times for several hours. All is better now, but, then there’s the daily discomfort of neuropathy they tell you about in those commercials on television. Until I started experiencing the sensation, I had thought they were exaggerating the sensation to sell medicine, but, I have since learned, it is absolutely not pleasant. All in all, it could be worse. The happy thing is that I have the ability to continue what I’ve been doing most of my working life in the newspaper and radio broadcasting industry. I’m just doing it on the internet, even though it may be at a slower pace than I was used to in the newspaper and radio broadcasting life. That’s not so bad. Enjoy the mix of Classic Rock and Pop Oldies at GreatGold.fm from the player on the website while you surf the internet. Or search for ‘greatgold’ at Radionomy.com, or, the Radionomy mobile app. 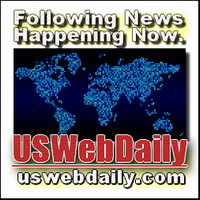 For vetted news sources and information, see: McStreamy.com, or Clik2Go.com, USWebDaily.com, WisconsinReport.com, Garytalk.com, GreatGraphix.com, or Advermagic.com. 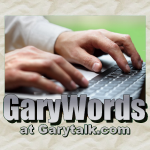 GABBYGARY is Gary W. Morgan, a semi-retired journalist, radio news anchor, air personality, and newspaper reporter. During his career his duties included music and program director, commercial specialist, radio news director and newspaper editor, photographer, radio ad salesperson, and print ad layout, composition and design person. Gary's radio and newspaper career took place from the mid-1960s through the end of the 20th Century. He began the Internet part of his career in 2001, following an unsuccessful 2000 primary campaign to represent people in the state capitol. 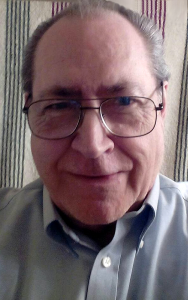 These days, Gary writes and edits news and information content for Clik2Go.com, WisconsinReport.com, McStreamy.com, USWebDaily.com, and a few others. Gary also creates graphic images seen on various websites, designs and builds websites, and, programs and presents a Classic Hits Mix of Classic Rock and Pop Oldies on an internet radio station called GreatGold.fm. The station can be accessed online at http://GreatGold.fm and in many major directories and popular Mobile Apps.